What was it W.C. Fields said — never work with animals or children? 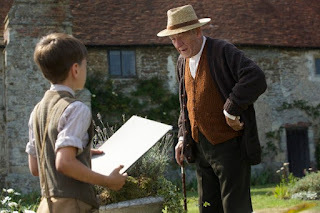 Well, despite the concentrated and wonderful work by Ian McKellen as a very lived-in Sherlock Holmes devastated by a failing memory, Milo Parker playing the kid Roger steals the show. 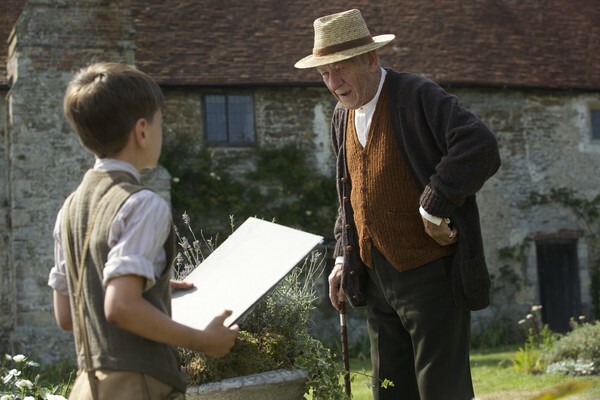 Mind you, the tiniest role in Mr. Holmes was perfectly played so I knew from the opening moments that this film would be a discreet little jewel. First there was the woman on the train platform, Eileen Davies, with one line, who immediately made it real. And then the mother of the little boy on the train, Zoe Rainey. 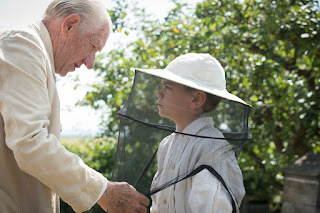 In that opening train ride, Sherlock Holmes explains to a young boy, and us, the difference between wasps and bees. A quiet foreshadowing of events. Small moments build and build, a community of fine subtle performances, all the way to Charles Maddox, a very grown-up name for the boy who played creepy Oswald. All in all there was wonderful casting of an engaging script by Jeffrey Hatcher based on Mitch Cullin’s novel (A Slight Trick of the Mind, which I now must read). Martin Childs wraps up the story in a lovingly detailed period production design. Hattie Morahan is haunting as the woman Sherlock could not save, an image encouraged by Bill Condon’s direction, the fine editing by Virginia Katz, and gorgeous cinematography by Tobias A. Schliessler. Carter Burwell’s score accompanied, enhanced but never overpowered the film as it moved in time back and forth from the period between the wars to after the end of World War II. A different sort of haunting comes from the images of Hiroshima and its survivors after the war on Mr. Holmes’ visit to Japan in search of a remedy for his failing memory. Loneliness is the primary theme in this story. The Japanese man (sensitive work by Hiroyuki Sanada) and his mother lonely for their missing father and husband. 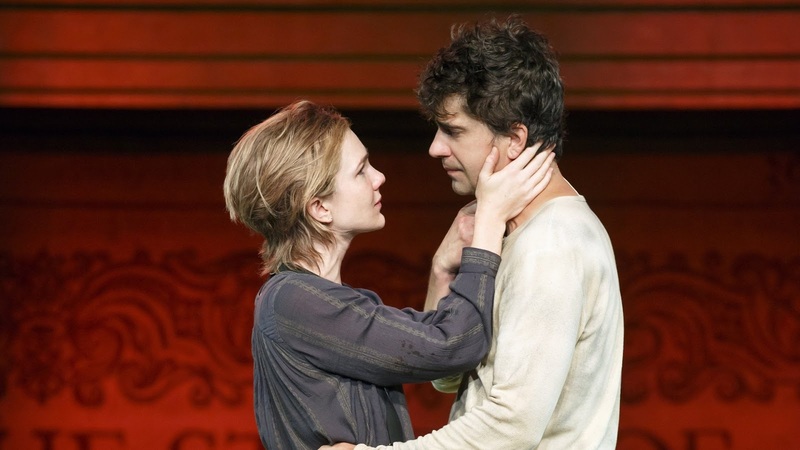 The staid and proper man (Patrick Kennedy, playing a man so prim I could have screamed) who misses the woman his wife was before her two miscarriages. The lonely mother of two unborn children who cannot reconcile herself with their absence, the haunting Hattie Morahan. And most of all, Sherlock Holmes – lonely for friendship, lonely for companionship, for conversation, for purpose, and for memories. Fine actors appear for memorable single scenes – Roger Allam as the brusque and tender Dr. Barrie, Philip Davis as the respectful country police inspector. Each man created a whole person in a few minutes onscreen. Frances de la Tour was an aging exotic — one could imagine her playing the stages of Europe before the war. In the course of the film, Sherlock must teach the boy to respect his mother, himself, and the bees. To himself, he must teach forgiveness. 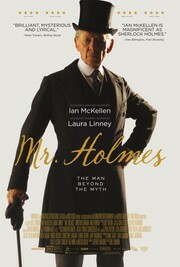 Mr. Holmes tells a story about how, after losing everyone and everything, Sherlock finds a family. It’s a sweet, sad, lovely story with a pleasing ending which explains any negatives reviews this film may receive. ~ Molly Matera, signing off to read some Sherlock Holmes stories…..